Dokken just posted up a new music video for the song "Empire," the opener to their new LP called 'Broken Bones.' The album was released in Europe last week and will be release on September 25, 2012, in North America through Frontiers Records. The album was produced by Don Dokken and mixed by Bob St. John. in the CVR Blog inbox, all proceeds go to charity! 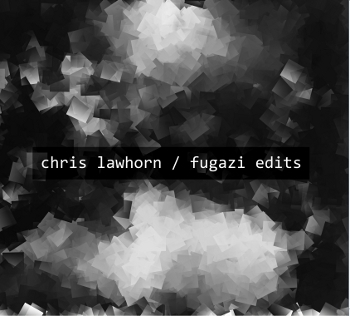 Interested folks can visit www.chrislawhorn.com to check out samples from the album, the artwork, and so on. The CD release will be limited to 1,000 copies and followed by a digital release on iTunes, Amazon, etc. OK, I'll admit it. I am a vinyl record nut, but I can live with it. The resurgence in the sale of vinyl records is not only about people who collect vinyl, it's also about a love of the format and a truer musical sound experience. Some may scoff at this concept, saying that vinyl records wear out, damage easily and require too much time to clean. However, this is not the case, as we will learn. I've always maintained that cleaning vinyl records can be accomplished with some mild soap and water and a good carbon fiber brush. That might help, but the deep down grime at the bottom of the grooves will still be on the records and certainly audible. Then I learned about and tried the Spin Clean® Record Washer System. After contacting the folks at Spin Clean®, they were kind enough to send the CVR Blog a unit to review. I opened the box and was surprised at the simplicity of the unit. The directions were clear cut and the set up and cleaning process took less than five minutes; certainly off to a good start. The instructions suggested to use distilled water (which I did) rather than ordinary tap water to wash your vinyl LP records. Distilled water can usually be purchased from a local grocery store and costs about a dollar. The product also cleans both sides of the record simultaneously, with the drying cloths used to dry and shine the LPs. What I wanted to see is if I could actually hear the difference. I pulled out an old dusty Jim Croce album and played the song "Time In A Bottle." I wanted a slower cut and a quieter song, so I could test the Spin Clean® product with not only my eyes, but my ears. I played the song once before cleaning it and one could say that the cut was ruined by all the clicks and pops, it sounded terrible. Then, I clean the record using the Spin Clean® Record Washer System. Using my see through 'plastic 'deli gloves,' (this is something I have used for years, it is a way to handle vinyl records without worrying about getting fingerprints on the records), I placed the 'dirty' record in the basin as instructed. Again, following the precise directions, I turned the record three times, both clockwise and counter clockwise. I then pulled the wet record out of the basin and dried it with the drying towels in a clockwise circular motion as described in the instructions. The Spin Clean® Record Washer System's real effectiveness comes from its ability to impeccably clean both sides of any record simultaneously without using your turntable as part of the process. Your albums and singles will last longer and sound better than ever, while your turntable and stylus are saved from needless wear and tear. The Spin Clean® Record Washer System has been one of the best value record washers since 1975. It is an extremely cost effective alternative, to all of the higher priced, automatic vacuum cleaner type machines. It uses a proprietary cleaning fluid that does not leave any build up or film on your records. It is also one of the few systems on the market that will clean albums, 45's and 78's. With the Spin-Clean system you mix the concentrated record cleaning solution with water in the clear reservoir base (small tank), The record stands vertically in the tray (as pictured), resting on adjustable rollers, as you rotate the record manually it passes through a set of two brushes that simultaneously deep cleans it on both sides. After you wash your records, you dry them off with a lint free cotton cloth. It's easy and anyone, even the most novice record collector, can handle the set up and cleaning process. What is our secret weapon, however, is Spin-Clean® Record Washer MKII's special washer fluid. 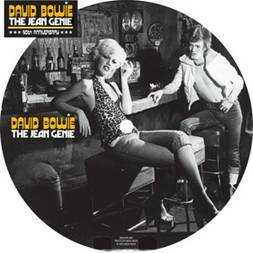 This special formula encapsulates the dirt that comes off the record from deep within the record grooves and sinks it to the bottom of the washer basin, so it is not re-deposited back on to your valuable LPs and 45s. 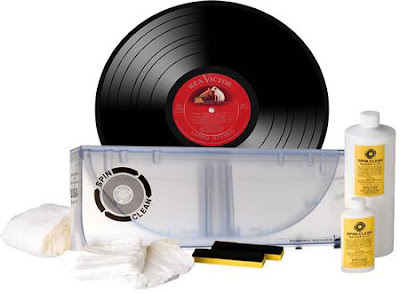 The CVR Blog wholeheartedly endorses the Spin Clean® Record Washer System, and I would recommend it as the perfect gift for any vinyl record lover. Additionally, because very little of the cleaning solution is used, the four ounce bottle will clean hundreds of LPs. In the end, music lovers and vinyl record junkies will love the cleaner, crisper superior sound that is the end result, and after all, isn't that what it is all about?